Same owner for 65+ years. Very clean, well maintained home features hardwood floors, spacious living room, 2 large bedrooms plus a bonus room perfect for office/playroom. Kitchen with abundance of wood cabinets complete with refrigerator and newer stainless steel gas oven/range. Enclosed back porch. Fenced backyard with patio. Detached garage plus off-street parking space in front at side of house. Inspections welcome for information purposes-being sold as is. I-29 to 229 exit to 752 or Mason Road - West to King Hill Ave - South to W Valley Street - West to Washington Street - south on Washington Street to property on East side of street. 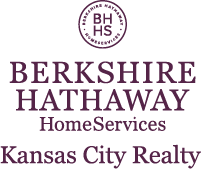 I am interested in 6319 Washington Street, Saint Joseph, MO 64504.